Dr Katy Wright and Dr Mark Davis have carried out research looking at public engagement in decision making about energy infrastructure, and how to understand and engage with the social impact and social value of large-scale renewable energy developments. 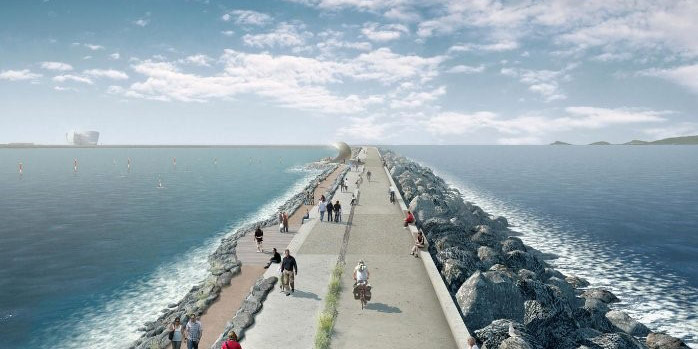 The research initially involved working with Tidal Lagoon Swansea Bay as a case study development, and the reports produced were submitted by the organisation with their original planning application. Subsequently, the team were involved in disseminating their findings through training on public consultation and engaging with social impact which was delivered to energy industry representatives. The second stage of the research has focused on the extent to which energy infrastructure planning can be understood to be democratic, both in terms of public involvement in decision making and also how the benefits of infrastructure are distributed, for example through different ownership models and/or community benefit activities. The research involved identifying recommendations for enhancing the democratic potential of energy infrastructure, with the aim of influencing policy and practice.